Things to Do During the 4 Nations Cup! It’s an exciting time for Kamloops as we welcome the top four nations (Canada, Finland, Sweden and the United States) in women’s hockey to our beautiful city! Although everyone will be fully absorbed with the games, that will take place November 4th to the 8th, there will be plenty of time to kill and explore what Kamloops has to offer! So to make it a little easier we’ve compiled of list of things to do in Kamloops during the 4 Nations Cup! After cheering on your favourite team, unwind and catch a show at one of the many local pubs and bars in Kamloops. The Blue Grotto, Barside Lounge & Grill, and Fireside Steakhouse & Bar will have talented acts on both the Friday and Saturday Nights. Or if you want to hit the dance floor Cactus Jacks and Sharks Club have live entertainment for you to dance the night away. 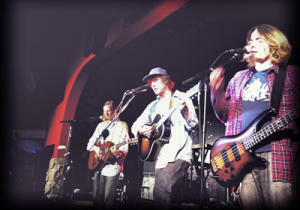 For a full list of live music and nightlife events, click here. 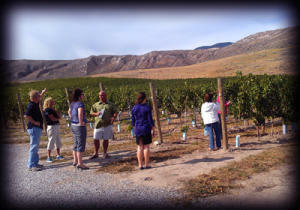 You don’t have to travel far to get a great bottle of wine, Kamloops has 3 wineries to choose from! Harper’s Trail Winery recently opened a brand new tasting room and will be open from 12pm to 4pm November 6th to the 9th. Just down the road from Harper’s Trail is Sagewood Winery, which will be open on the Saturday from 1pm to 5pm. Also be sure to check out Privato Vineyard and Winery! Although their tasting room is closed, Privato offers Vine to Wine Tours by appointment for 6 or more. And if you’re not in the mood to drive, take a wine tour with Divine Tours or Tastefull Excursions! For more information on Wineries, click here. While it has cooled off in Kamloops, hiking is still great this time of year! 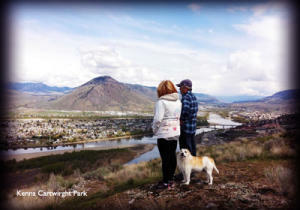 Kamloops offers tons of easily accessible trails to choose from with incredible views! If you don’t want to venture to far, Kenna Cartwright Park, Peterson Creek Park and the Valleyview Nature Park all offer great hikes within the city limits. Or take a short drive to Battle Bluff, Paul Lake, or Lac du Bois! For a full list of hikes in the Kamloops area, click here. Always a favourite! If you’re an animal lover the BC Wildlife Park is the place to go. The Park features over 65 species of wildlife spread out over 50 hectares. Every member of the family will enjoy seeing cougars, moose, birds of prey, snakes, grizzly bears, mountain goats, and timber wolves. The park will be open weekends 9:30am to 4pm. 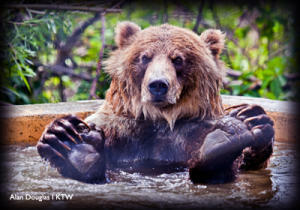 For more information on the BC Wildlife Park, click here. 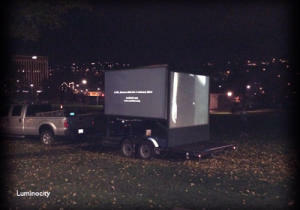 Join the Kamloops Art Gallery for Luminocity! Luminocity is a FREE week-long public art project organized by the Kamloops Art Gallery featuring video projection, new media works and events in public spaces throughout downtown Kamloops. Additionally, the exhibit Vintage Sea will be displayed at the Kamloops Art Gallery and the Kamloops Writers Festival will take place at the Old Courthouse Cultural Centre! And if you enjoy museums, be sure to check out The Kamloops Museum and the Secwepemc Museum & Heritage Park! For more information on Arts, Culture & Heritage, click here. If you’re looking for something unique to do, book a ticket for The Tranquillian Soldier tunnel tours at Tranquille Farm Fresh! 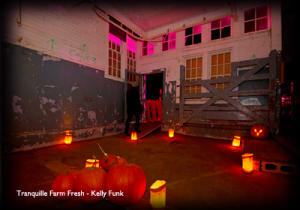 The tunnel tour is an hour long moon lit 1917 love story, set against the magical landscape of the Tranquille King Edward Sanatorium and its mysterious underground village and tunnel system. Book your ticket through the Kamloops Live box office for a one of a kind experience! For more information on the Tranquille Tunnel Tours, click here. Nothing goes better with hockey then beer, so be sure to check out some of Kamloops’ local watering holes! Stop by The Noble Pig Brewhouse for a tasting flight of in-house brew and some deep fried pickles. Or make you way over to the newest brewery Red Collar for a pint or two! And finally, be sure to visit Red Beard Café and try one of many international craft brews! 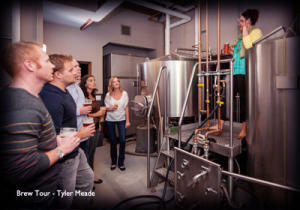 For more information on the Brew Tour, click here. And of course make sure you check out some of the most talented athletes in women’s hockey! Purchase your tickets here, and cheer on your favourite team!